Even when you can't make it home for the holidays, you can still help out in the kitchen. Our Holiday Brunches feature our famous Corn Cob Smoked spiral-sliced Fully Cooked Party Ham - perfect for the busy holiday mornings. Brimming with a selection of premium foods, these gift selections have everything needed for a memorable family feast. Includes a 6 - 7 lbs. Party Ham, 1 lb. Corn Cob Smoked Bacon, 1 lb. 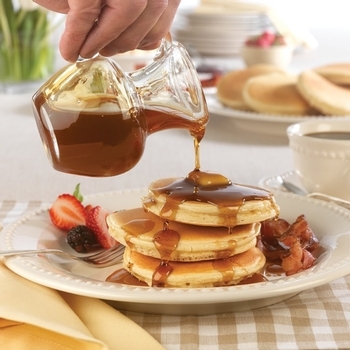 Buttermilk Pancake Mix, and one half-pint Pure Vermont Grade A Maple Syrup. Includes everything in the Country Brunch, plus 12 oz. Biscuit Mix, 8 oz. Red Raspberry Preserves, and 12 oz. Vermont Artisan Coffee.